Now, one thing which I am completely guilty of is being slack with keeping up with completing any writing exercises whatsoever and even writing about writing exercises here, on this website. But a recent article called Woodshedding for Writers by Peter Derk has got me thinking about them again, and about how important they are to your writing, and how important it is to continue to practise the individual elements that make up a piece of writing. Now, I have read a few books which have mentioned this before, and have been given a few examples and exercises, but none of them have really pushed or prioritized the idea or importance of completing actual technical writing exercises. Derk’s article gently reminds me again, of the idea of how extremely important and vital they are to our craft. 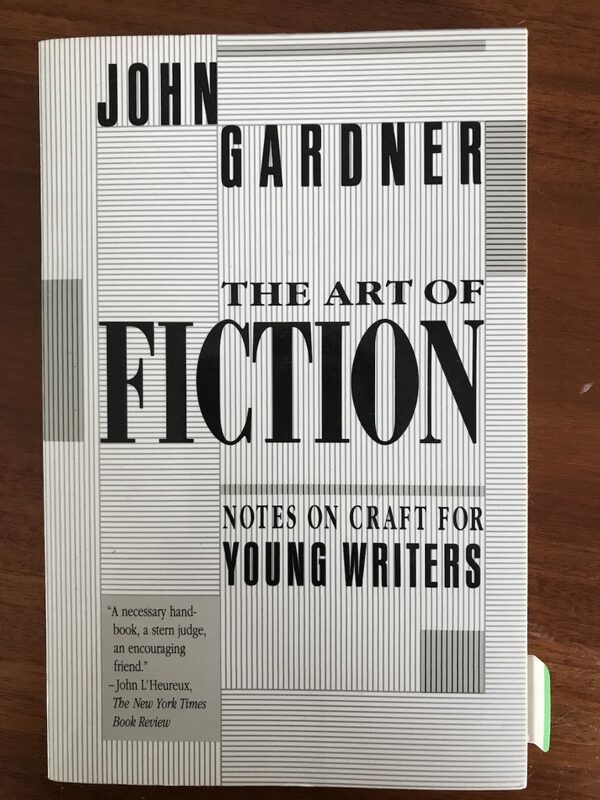 One excellent book who does talk about this is John Gardner’s The Art of Fiction. The sub-title is Notes on Craft for Young Writers – but pay no attention to this; this book is highly applicable to any writer, and especially the starting out or beginning writer. And actually who am I to judge – I mean, I, not a published, hugely successful writer yet, so – maybe he’s right. I guess, my point is – it’s up to you to decide. But what I’m really after in his book today, is his theory on writing exercises, and the idea of practising your craft, just like musicians do (as Derk so correctly puts it). In Part 2, Gardner covers the aspects I’m interested in, with the first chapters on Technique, Common Problems and Plotting, and all have excellent tips within. And then he has a section just on Exercises. His technical exercises and advice begin in earnest on page 200, where he states that, by performing these exercises faithfully, the student writer will learn the techniques required for short and long fiction. If you can’t tolerate the rest of the book, do invest the time into reading the preamble of this section. Write an honest and sensiteiv description (or sketch) of (a) one of your parents, (b) a mythological besast, and (c) a ghost. There are a few other books which have had these types of excellent technical exercises within them. One is “So You Want to be a Writer” and Bret Anthony Johnston’s (Editor) “Naming the World: And Other Exercises for the Creative Writer”. Another is John Marsden’s book for younger writers, “Everything I Know About Writing”. In here, there should also be copy-work exercises – something I’ve just recently been reminded of. This is where you spend time each day, copying out, word for word, the writing of a writer you emulate. It helps to imprint onto your subconscious and conscious mind, the method and melody of story-writing. Most of these can be found within Gardner’s book, but there is another resource which I find helpful; The Write Practice has an article, 100 Writing Practice Lessons & Exercises which lists all their best writing exercises, and is a great place to start if you do not have access to a writing craft book (with exercises included) or a library nearby. Especially of use, are his exercises or links on Characterization, the Grammar and the Plot and Story Exercises. It is important to invest the time into completing exercises each day, or at the very least, each week; which will help you to become a better writer, through mindful practice of technique and focusing on the different elements and characteristics of writing. Make time for technical writing exercises every week if possible. Pick something, and work your way through it. Every now and then I will include a list of writing exercises which I find helpful, instead of me weekly prompt post, so check back regularly for more exercises 🙂 In the meantime, check out my recent post 7 Fiction Writing Exercises to Try Today! What are your favourite writing exercises? Have I missed out a specific book with technical writing exercises? Please let me know below, and I will add it to my list. Get Your Copy of The Art of Fiction Here! Or from your local bookseller! The above image contains Amazon Services LLC Associates Program affiliate links, which means I receive a small commission if you decide to click through and buy anything. This is at no extra cost to you, but helps me maintain this website 🙂 If you want to know more, please read our Affiliate Disclosure.